And I agree! 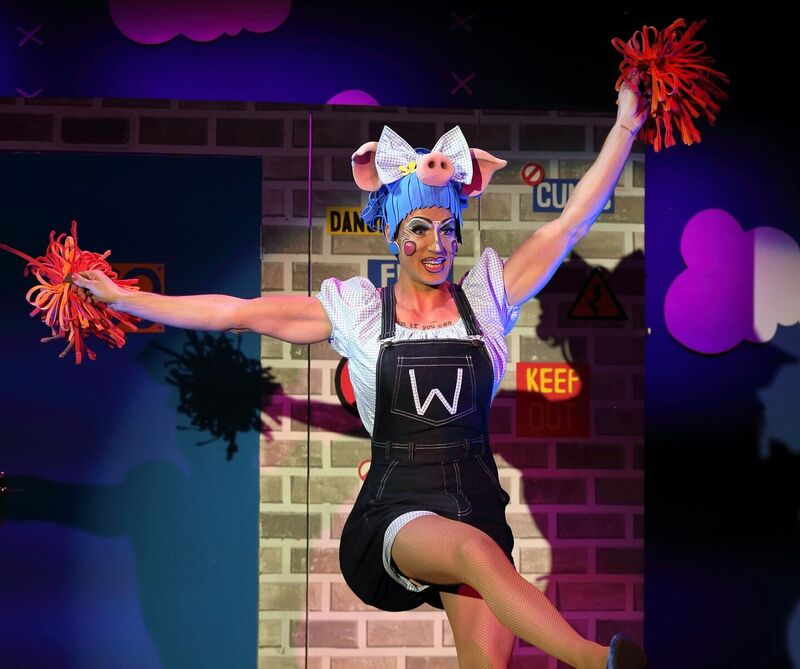 I mean who knew that those naughty little piggies were in fact three boys with a penchant for dressing up as girls, or that the big bad wolf was the original bad boy?? For those who have not yet paid Gate69 a visit… you’re missing out. 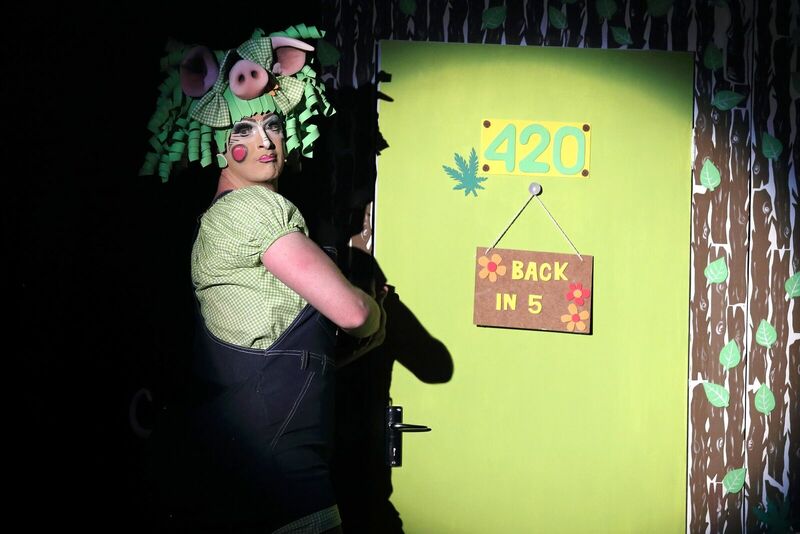 Situated on the corner of Hout & Bree St in Cape Town’s CBD, Gate69 is a plush, one-of-a-kind, intimate cabaret theatre space that’s been rated by TripAdvisor as the number 1 theatre experience in the Mother City. If you’re looking for a seriously fun night out, you definitely don’t need to look any further. 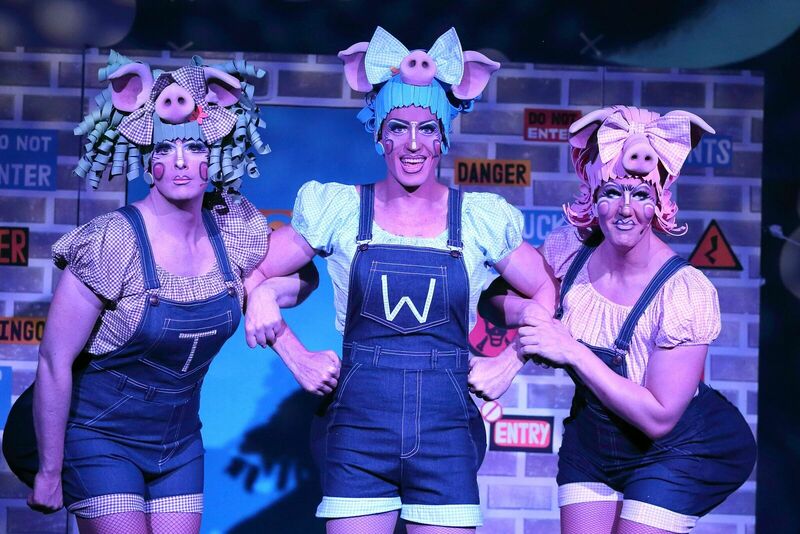 The Three Little pigs will be running right through Spring into the 2018 festive season. Performances run from Wednesdays to Saturdays at 20:15, with a recommended arrival time of 18:30 to allow time to mingle and enjoy a pre-drink at the bar. Tickets cost R500-R595 per person and includes the show ticket and a tasty gourmet tapas offering. Bookings can be made via their website, www.gate69.co.za or by calling 021-0351627. There is an age restriction of 18 yrs. 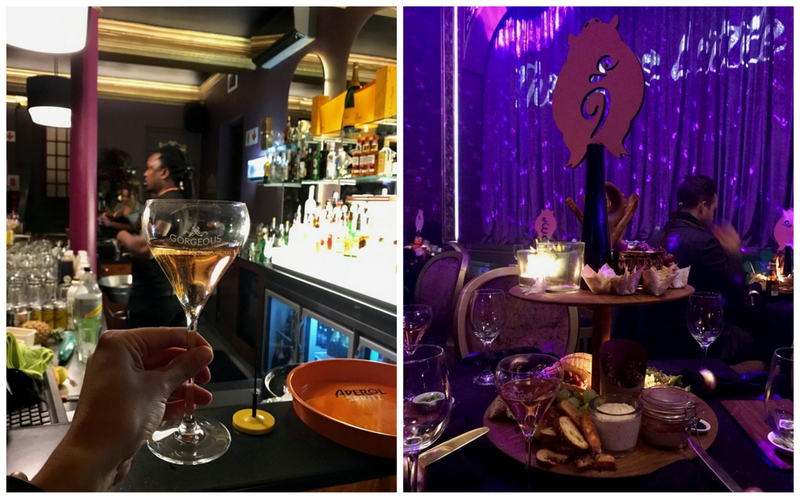 On the left: Champers in the downstairs bar; On the right: a look at the yummy snacks that will be waiting for you – served on a Lazy Susan for extra pizzazz. Oooh. Colour me intrigued. Definitely going to beg my bestie to join me.